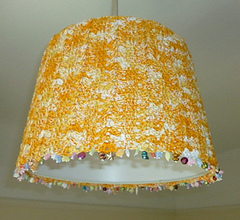 Lacy lampshade in multi-colors with beads. 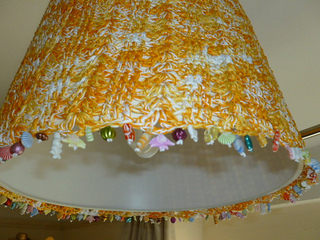 You can crochet using cotton thread to decorate your home! Use any beads you like & cone-shaped lampshade base. 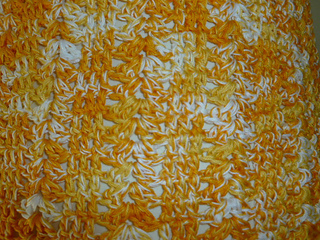 by H. P. Cotton Textile Mills Ltd.